Chinese online travel agency Ctrip and Internet giant Baidu Friday launched a new pocket translator for tourists. Users can talk into the gadget, which is smaller than the palm of a hand, while pressing a button in the center. Through artificial intelligence (AI) technology, the device will translate speech into the target language almost simultaneously. The translator is connected to the internet through an embedded SIM card that can work in more than 80 countries and regions and doubles as a portable WiFi hotspot. The first devices support Chinese-English translation, while service for other languages will be added in the future, said Wang Haifeng, vice president of Baidu. Figures from the National Tourism Administration show that Chinese travelers made more than 62 million outbound trips in the first half of 2017, up 5.1 percent year on year, with more favoring self-guided tours. However, language remains a barrier, said Yu Xiaojiang, a senior manager with Ctrip in charge of overseas travel. Tour providers believe the use of good portable translation devices will encourage an increasing number of middled-aged and elderly people to travel abroad. 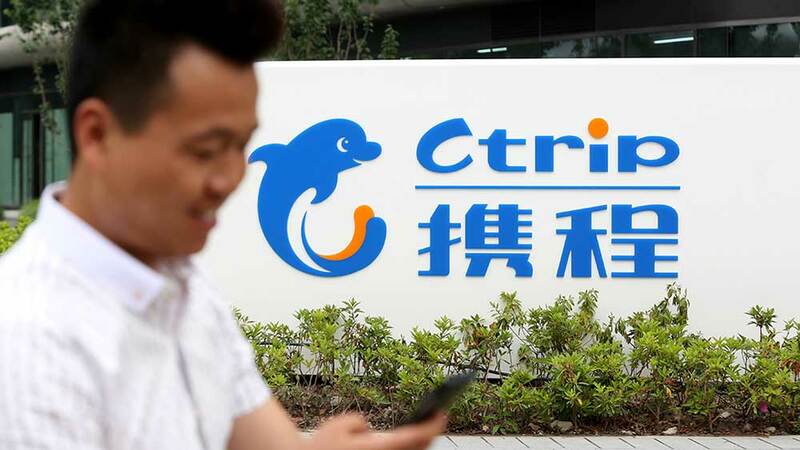 Ctrip and Baidu already launched a translation app earlier this year that allows tourists to use a phone camera to translate English text into Chinese.